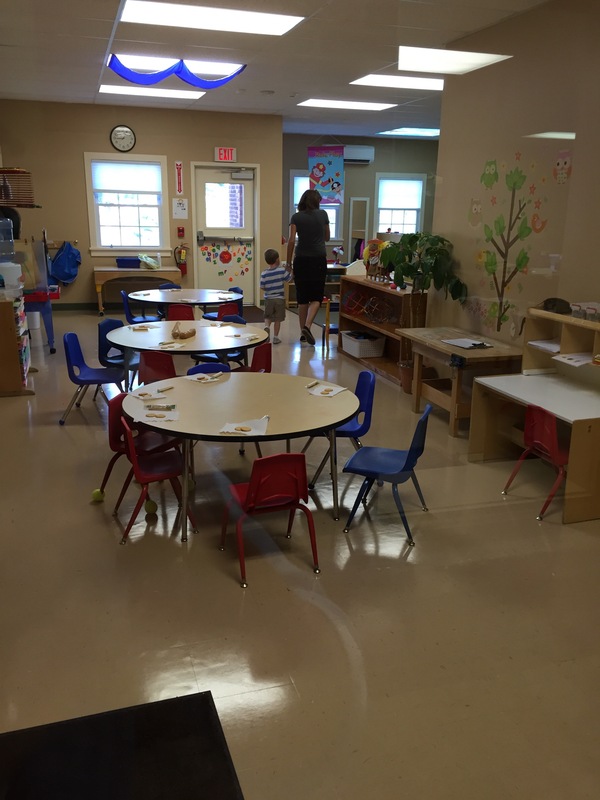 My son Greyson had his first day at pre-school yesterday, in an integrated classroom. However, I guarantee that Dad had a much greater challenge with the integration than his son. Greyson’s first day of school seems to be a bit more complex than I thought it might be. As mentioned, it should have been an emotional drop off with tears of joy as he moves on to learn everything the world has to teach him. Yet I am fixated on the fact that I believe my son has more to give the world, than the other way around. I don’t know what yet… But I do believe. You see… I have arrived at the conclusion that my brain and my heart have no desire to operate on the same page. I am constantly stirring in thoughts and feelings full of contradiction. It’s like it is opposites day, but everyday. I am genuinely excited, yet deeply fearful of so many things. I am so joyous at his arrival here in this moment, yet frustrated with the fact that people will constantly be asking things of him. I am so proud of this journey, yet saddened at the thought of him growing up. Greyson is such a happy boy. He is happy with his life, and happy with who he is. He does not see this world the same way that we do, as I feel that he sees it so much better. He is so pure and innocent. It is like he is running freely in the warm summer rain everyday, no restrictions, no plans, just living in the moments. So I guess I have changed my original thoughts on the quote above. When I first read it, it hit me pretty hard and I was filled with anger and frustration because it really rang so true to me. I was so mad at the thought that we were trying to change him. But why would I automatically assume we are changing him? He will ALWAYS be who he is. He will ALWAYS be our sweet little Greyson. Perhaps he has to work harder to learn our language, so that when he speaks to us we fully understand him. So what. That is okay. That really is okay. We are not changing him because of that, not changing him because he is learning. Luckily, I can honestly say that the group of women, the group of loving, passionate, honest and true teachers that our little man has been seeded with, will most certainly help to enrich his life. And although I don’t know them, I can tell. I can tell that they will hold him in their hands with care. I have the utmost confidence in them and what they are trying to achieve with each and every student in their classroom. Yes, there will be the development of his social, cognitive, and language skills, but it is sooooo much more than that. It needs to be so much more than that. It needs to be about learning to be loved and accepted, and to love others and accept others in return. It needs to be about morals and integrity. It needs to be about teaching what is right, and what is wrong. For the love of everything please let this be the case in the coming years of his “education”. It is what is most important for him, I believe. And of course those things above always start at home with us… But we are talking about his school today. I feel that our schools can get so caught up in tests, performance metrics, and evaluations that we forget sometimes the things that we cannot test… That those things are truly the most important. Please let this journey have value. Please let it teach Greyson more than what is on a piece of paper in front of him. We are one of oh so many families that feel this way I am sure. So with all of that, it is time to stop talking about it. It is time to go to bed and get some sleep, as our baby boy has a busy day of school tomorrow. Thanks in advance for the wonderful school year ahead, and pardon the delay with my integration, with my sons first integrated classroom. Previous I see you, seeing him.